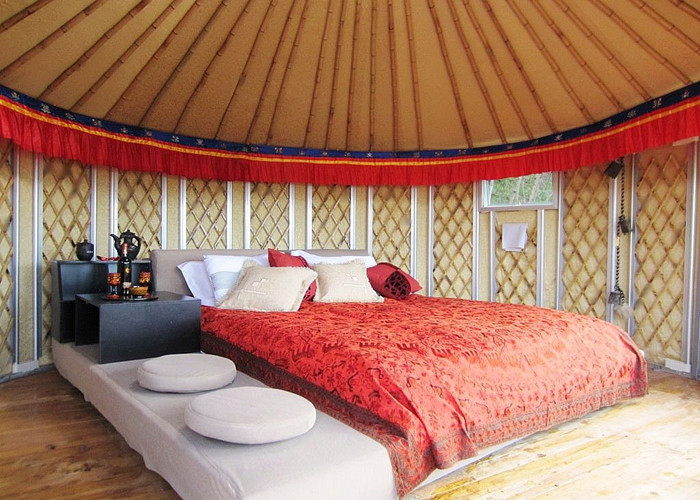 The 5.12m diameter yurt tent is about 21 square meters, that is made of aluminum alloy with bamboo frame and four layers cover fabrics. There is steel circle for skylight on the roof. The outlook is mainly white with some painting in national feathers, or yellow and green colors are also chosen. The glass sidewalls can be installed if you want to see the view outdoors but need extra fee. Some accessories like air conditions can be hanged on the frame. 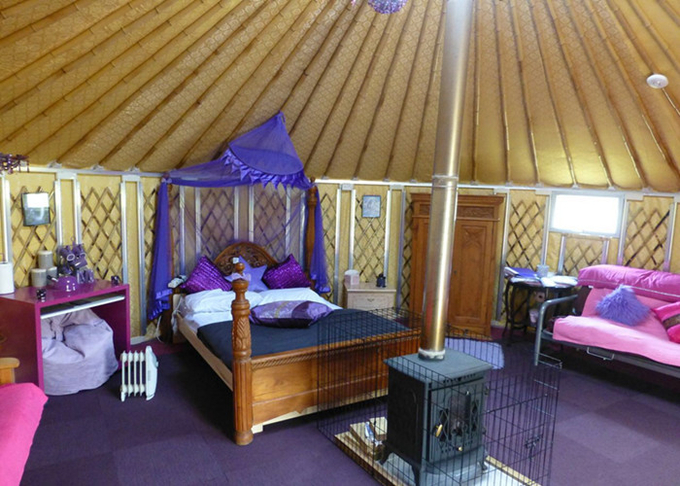 Mongolian tent is widely used in living, catering, camping, view, hotel tent, ecological garden, mountain villa, etc. · When we finish the production ,installation video or pictures can be taken and must be sent to the client to check the quality and make payment of balance before delivery. · We absorb ancient technology of Mongolia, reserve concise yurt of Mongolia and also develop modern style which can be used at the south China.